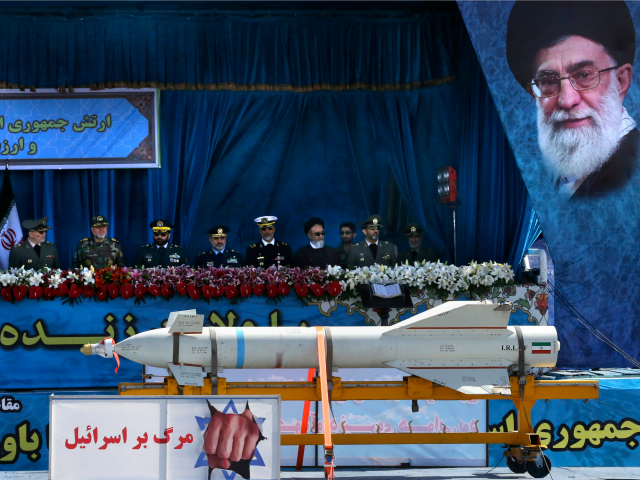 TEHRAN, Iran (AP) — Iran’s Revolutionary Guard has unveiled its latest ballistic missile with a range of 2,000 kilometers — about 1,250 miles— capable of reaching much of the Middle East, including Israel. The unveiling came during a military parade on Friday in Tehran. The parade commemorates the 1980s Iran-Iraq war. The agency did not provide further information on the missile. Iran has other missiles of this range in its arsenal. The move is a direct challenge to President Donald Trump, who signed a bill imposing mandatory penalties on those involved in Iran’s ballistic missile program and anyone who does business with them.